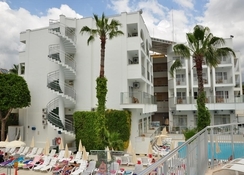 Club Atrium Hotel and Apartments is about 96km from Dalaman International Airport and 2.5 km from the resort centre of Marmaris. It’s 1.5 km from Long Beach. 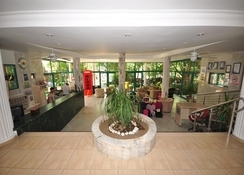 Guests can choose from Standard Hotel Rooms, Superior Hotel Rooms, One Bedroom Apartments and Studios. The accommodation is comfortable, with warm interiors and the rooms come with double or twin beds, while the studios come with kitchenettes. The studios located on the top floor feature sloping roofs and can accommodate two to three people. Drop in at the Havana Restaurant for some delicious Turkish, British and international dishes, while Tai Pan Chinese Restaurant on the Uzun Yali beachfront serves Chinese and Indian fare. If you want to go dancing, check out Bar Cuba, where you can also watch sports on a big screen. Enjoy karaoke, belly dancing and Turkish themes at the Havana Restaurant and Cuba Beer Garden in the evenings. 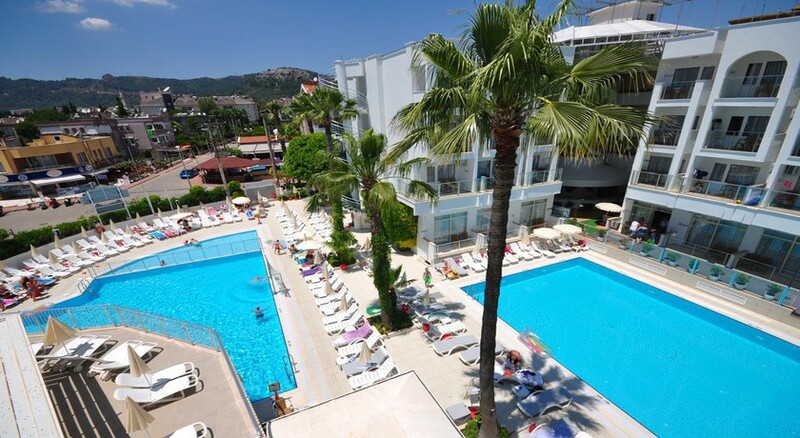 The two large swimming pools come with sun terraces that sport parasols and loungers, where you can soak up the rays. You can also play water polo and water basketball. 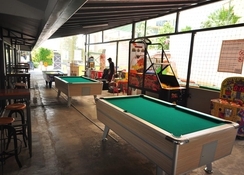 Kids get two separate pools and an adventure playground, where they can take fun rides. Check into the spa for a Turkish bath session, steam room and enjoy beauty treatments. There also nearby beaches to explore, where you can indulge in watersports or kick back on the sands. This hotel is brilliant. The staff are brilliant they look after you so well. Hotel is clean & the food is amazing to. We have been 6 times now. Can’t fault it in any way. Don’t read the negative reviews as some of the guests moan about everything they can & just bring the place down. Which isn’t fair. They have a kids massive play park & entertainment guy who is so good with looking after the kids. Excellent all round place to go. Plus they have there own club/disco which the music is great you are a 10 min walk from a big supermarket called kipa which is the same as Tesco. Eating out if you wish is so cheap.